Located in a secluded residential neighborhood in the eastern Conejo Valley thirty minutes west of downtown Los Angeles, Evolve Agoura Hills offers full-time, on-site, 24/7 residential treatment for teens in a safe, secluded, supportive setting ideal for healing and recovery. Click here for details on our Agoura Hills Residential Treatment Center. Located in Bel Air just off the 405 across from the Getty Museum, Evolve Bel Air offers three levels of care in a safe, supportive setting ideal for healing and recovery: Partial Hospitalization (PHP), Intensive Outpatient (IOP), and Outpatient (OP). Click here for details on our Bel Air treatment center. 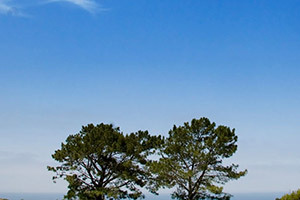 Located in a peaceful neighborhood in the hills of West Los Angeles between Topanga State Park and Malibu Creek State Park, about an hour from downtown and ten minutes from Malibu, Evolve Calabasas offers full-time, on-site, 24/7 residential treatment in a tranquil, safe, nurturing environment ideal for healing and recovery. Click here for details on our Calabasas treatment center. Located in Camarillo in the picturesque coastal ranges an hour north of downtown Los Angeles, Evolve Camarillo offers three levels of care in a safe, supportive setting ideal for healing and recovery: Partial Hospitalization (PHP), Intensive Outpatient (IOP), and Outpatient (OP). Click here for details on our Camarillo treatment center. Located just outside the town of Gilroy on ten breathtaking acres in the southern Santa Clara Valley between the Santa Cruz Mountains and the Diablo range, less than an hour from San Jose, Evolve Gilroy offers full-time, on-site, 24/7 residential care in a beautiful, serene, and private setting perfect for healing and recovery. Click here for details on our Gilroy treatment center. Located in the beautiful Ojai Valley on the southern edge of the Topatopa Mountains less than an hour drive from Santa Barbara, Evolve Ojai offers full-time, on-site, 24/7 residential care in a safe, secluded, supportive setting ideal for healing and recovery. Click here for details on our Ojai Residential Treatment Center. Our custom outpatient and partial hospitalization programs are perfect for families living in the coastal towns near San Diego seeking treatment for their teens struggling with substance abuse or mental health issues. Click here for details on our Santa Barbara treatment center. Evolve Santa Barbara offers individualized mental health and substance abuse treatment in the heart of the downtown district. Located in the San Fernando Valley just north of Topanga State Park less than an hour drive from downtown Los Angeles, Evolve Tarzana offers full-time, on-site, 24/7 residential care in a safe, secluded, supportive setting ideal for healing and recovery. Click here for details on our Tarzana Residential Treatment Center. Located at the edge of Topanga State Park, five minutes from the 101, ten minutes from the ocean, and an hour from downtown Los Angeles, Evolve Topanga offers full-time, on-site, 24/7 residential care in a safe, secluded, supportive setting ideal for healing and recovery. Click here for details on our Woodland Hills Residential Treatment Center.